The construction company streamlines the service call process using Dropbox Business, savings hundreds of thousands of dollars a year for an ROI of 300%. Using Dropbox Business, Brandt creates a shared folder for each technician containing open work orders. “Instead of sorting through stacks of paper, technicians have a clean list in Dropbox of things they need to do that day,” Everett says. Technicians fill out forms on tablets as they’re completing project work in the field, and customers digitally sign once jobs are completed. 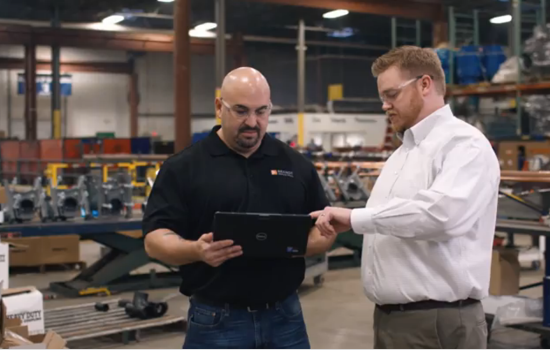 Brandt also integrated its custom-built ServiceTech App with Dropbox, making it even easier for technicians to view their work orders. Forms are then automatically saved to the right Dropbox shared folder, which notifies the approving supervisor of changes. “Our old ways of communicating led to a lot of frustration among team members and customers,” says Jennifer Groves, Service Business Supervisor. “Dropbox’s speed and reliability have helped us work better together.” Brandt says Dropbox Business is also keeping important data secure—a critical requirement when dealing with customer information. “I don’t have to worry about data security, because of the encryption and transport layer protocols Dropbox has in place,” Everett says.